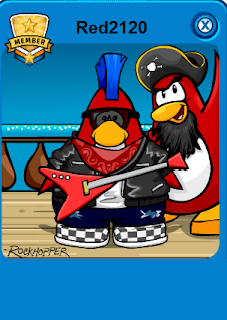 Rockhopper has so much story behind him! First off I can tell you he is the reason we have a Red puffle! 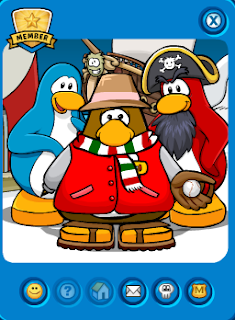 He lives on Rockhopper island with his puffle Yarr! One way to tell if hes on Club Penguin is to look at the Club Penguin home page and see if a ship is there. You can read a huge story about him in the book room located upstairs in the coffee shop. Theres two ways you can meet him. Club Penguin and Real life! Wait?! Did I just say Real life? Yes I did!! If You are planning a trip to California in the Usa, Make sure to go to Disney world. 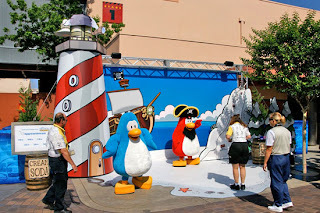 They have a Club Penguin Rockhopper meeting in it! When your there you can get a picture with him and a blue penguin, you can then get a EXCLUSIVE background only from him. He's pretty cool! Club Penguin once had a poll about all the Club Penguin characters and he topped them all! Rockhopper owns his own ship on Club Penguin. When he comes, you get to play 4 new rooms. In Order to get in the captain quarters you must go in the book room (in the coffee shop upstars) And skip to the end of his book. There will be a Key there for you. You can also play his game he brings to the island called treasure hunt. First off, Make sure hes on Club Penguin first. To do that go on the Club Penguin homepage (http://www.clubpenguin.com) Or go to the Beach and see if his ship is here. 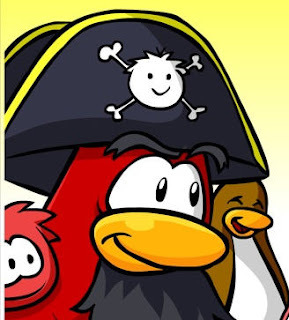 Rockhopper is a more "popular" Penguin then the others. So he logs into servers from 4-5 Bars. The longest he stayed on a server has been for 15 min. Yes that long! Hes pretty awesome! He Also goes on safe chat servers so look there too. Some places to look are: His ship, Town, pizza Parlor, cove, Forest, Hidden Lake, and a member room for a certain party. 5.He does NOT have post cards. Although you can get a special background from him! He has 3 Backgrounds. So are you going to do the chat again like you did with Sensei? I had lots of fun in the Sensei tracker, so i will make sure to come this time too! I WILL BE THERE! Cool red I will be there! 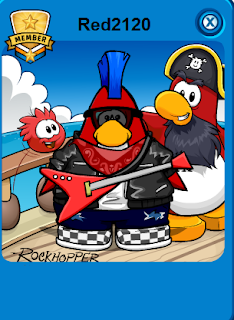 Hi i'm Cadence0908 2 things:1. i almost found Rockhopper unfortuneatly,the room was full..same thing happened when the haloween party was on and i was looking 4 G.And 2:can u add me plz?